With Malta possibly going to the polls early, Mark Micallef and Herman Grech analyse the first election survey of The Sunday Times. With opinion polls clearly in Labour’s favour it is no surprise that only 13.1 per cent of Nationalist supporters are clamouring for an early election. Just 7.1 per cent of Labour-leaning respondents want Lawrence Gonzi’s government to serve the entire legislature. A total of 45 per cent of those voting for the first time want an election at once, with 41.3 willing to wait until next year to cast their vote. The majority of those who said they did not know who to vote for would prefer the government to run its course. A breakdown of respondents shows that Labour is strongest among those aged 25 to 34 and people aged 45 to 61. Among respondents aged 18 to 24 and over 62, the parties are almost tied. Overall, no overwhelming election issue emerged among respondents and only six per cent identified economic or political stability as the most pressing concern that would dictate how they vote in an election. Similarly, while nine per cent identified jobs and work as a key electoral issue only 4.1 per cent felt the same way about the economy, in spite of the eurozone crisis. Of those for whom jobs could determine their vote, the lion’s share, 18.8 per cent, are aged 18 to 24. Again, however, the number of people who chose not to reply to this question or said they did not have an opinion is relatively high, at 20 per cent, which may indicate that the parties still have everything to fight for. Just over seven per cent of respondents who said they voted for the Nationalists in 2008 now claim they have more faith in Joseph Muscat than Lawrence Gonzi. The two are neck and neck but the Labour leader is enjoying a significant swing in his direction, even though 20 per cent of respondents said they do not trust either. In raw percentage points, Dr Gonzi has the lead, enjoying the trust of 34.6 per cent of respondents, over Dr Muscat’s 32.3 per cent. However, 7.3 per cent of those who said they voted PN in 2008 declared they had more faith in Dr Muscat, as opposed to 1.6 per cent who made the opposite migration to Dr Gonzi. That means a swing of 5.7 per cent, which assumes particular significance because it is almost identical to a trend seen in people’s general voting intentions. Over six per cent of those who say they will support Labour if an election were held tomorrow had voted PN in the 2008 general election. Only 0.8 per cent made the opposite migration to the Nationalist Party after voting Labour in 2008. Again, this translates into a swing of 5.8 per cent in favour of Labour. 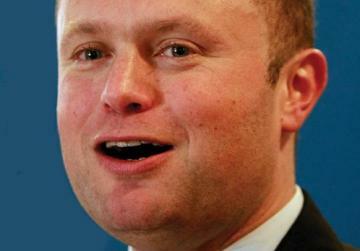 The raw percentages put Labour (29.5 per cent) with a 4.3 per cent lead on PN (25.2 per cent). 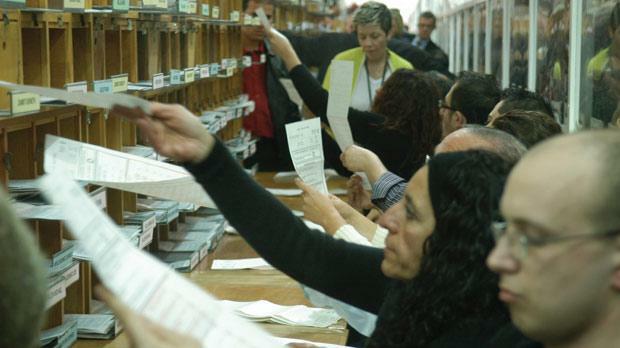 However, 35.7 per cent of respondents either refused to declare their voting intentions or said they had no opinion, as is normal with all political surveys carried out in Malta. If these are excluded from the analysis and the swing factored in, the result gives Labour 52.1 per cent and the PN 46.9 per cent. Alternattiva Demokratika, which in the 2008 election got 1.3 per cent of the vote, remains more or less at the same level with one per cent. The swing trend is more significant and indicative than the lead that Labour may enjoy in the survey because of the large number of respondents who are unwilling to declare their vote (15.4 per cent) or who are still undecided (20.3 per cent). 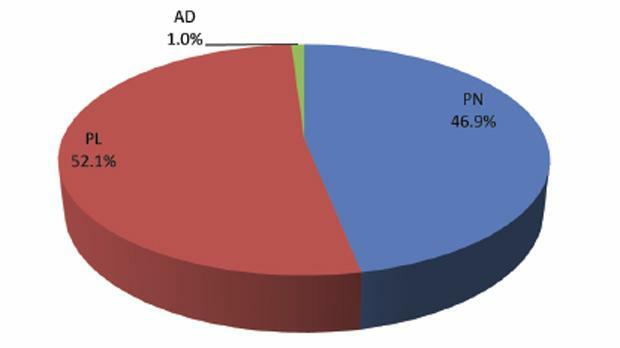 Moreover, when people were asked how they voted in the last general election, 39.5 per cent said they voted PN and only 27.4 per cent Labour – a far cry from the photo finish result seen in 2008: 49.3 per cent for PN and 48.7 per cent for Labour. Given that the sample was selected randomly, this indicates that Labour-leaning respondents were less likely than their Nationalist counterparts to state their opinion in the survey, an important factor that needs to be considered in the analysis. If election were held tomorrow how would people cast votes? Less than a third of the electorate agree with Dr Debono’s call on Dr Gonzi to resign, with the Prime Minister enjoying most support from those in the 18 to 24 age bracket and graduates. Dr Gonzi still holds maximum support among Nationalist supporters with 94.1 per cent saying he should remain at the helm. On the other hand, nearly 70 per cent of PL supporters want him to go. The Prime Minister also commands support from those who said they will not vote or refused to give their political preferences and those who were not eligible to vote in the 2008 general election. 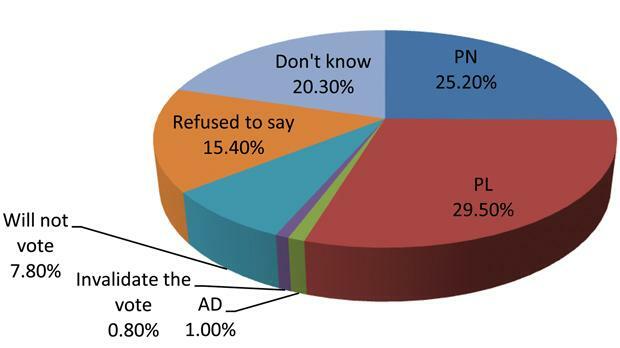 Nearly half of all respondents believe Franco Debono acted the way he did for his own personal interests, the majority of these being in the 25 to 34 age bracket. The backbencher has failed to convince the party faithful about his intentions with a mere 4.8 per cent believing he is acting in the national interest. Equally interesting are the nearly 20 per cent Labourites who think his actions are driven by his personal interests. A third of respondents agree with his declared intentions. The MP is not very popular with those who said they will not vote, are undecided or refused to say how they will vote. He only enjoys the support of 30 per cent of these respondents. Forty-two per cent believe the lawyer from Għaxaq should resign from Parliament, as opposed to 37.7 per cent who believe he had acted correctly. The vast majority of those who want to see Dr Debono give up his seat have a tertiary level of education. Nationalist supporters are clearly in line with the party’s declaration he should quit (89.3 per cent) as opposed to the 9.5 per cent Labour supporters who think he should go. What has been the government’s biggest mistake? What has been the government’s biggest success? 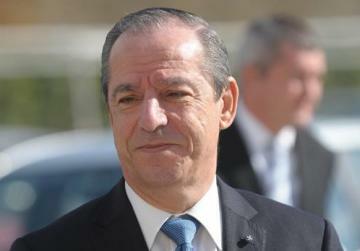 Do you think Franco Debono acted correctly or should he resign? Which is the most pressing issue that will dictate the way you vote? If an election were held tomorrow who would you vote for? 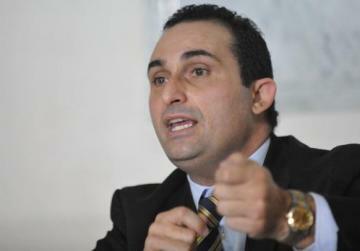 Do you think Prime Minister Lawrence Gonzi should resign? When should the Prime Minister call the election?